Take charge of Be Rich Inc. where you are CEO to the hottest new real estate firm in the country. Build housing for undeveloped zones, provide your tenants with shopping and maintenance services, decorate greenways, builds stadiums, it`s all at your fingertips. If you can raise capital, you can turn the neighborhood of your dreams into a reality. Act now before your profit margin slips away! 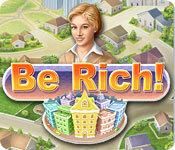 Be Rich is rated 3.8 out of 5 by 24. Rated 5 out of 5 by Ruckus777 from Addicting, But Relaxing What a great game! I couldn't put it down, from the tutorial to the end of the demo hour. Though it wasn't very challenging, it was a great change of pace from the high stress of other TM games. This game had appealing graphics, and, for the most part, engaging music and sounds. My only complaint is that a few of the sound effects were a bit grating and not easy on the ears, but the music was pleasant to listen to as I played. The game mechanics were a bit simplistic, but this made it easy to slip into a nice rhythm as the game went on. 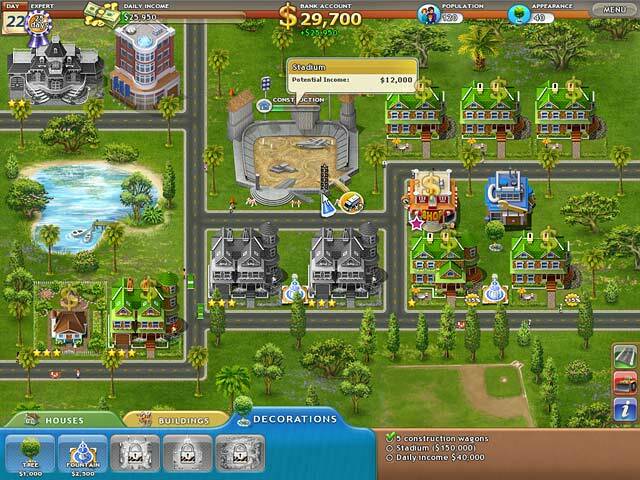 Basically you're building houses to generate profit and complete goals, and it was a relaxing game to feel accomplished at. Overall, I enjoyed this game! 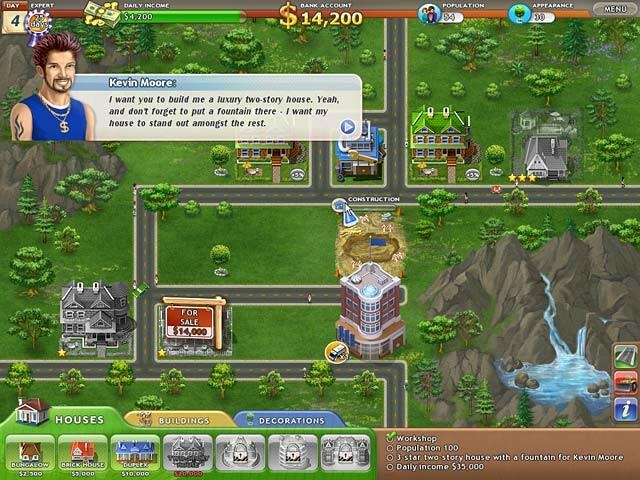 Rated 5 out of 5 by Calliefornia from Great Building Game I've played a lot of building games and personally this is one of my favorites. It's not too hard and not easy but it definitely makes it hard to stop and do something else once you start. Rated 5 out of 5 by hughsmum from Great little game I tried this game quite a while ago and it didn't suit me then, but since playing Be Richer, I have returned to this game and absolutely love it. This is the perfect game for learning how to play time management and strateegy games, great graphics, easy to understand game play and even has a good story line. I now play this game when I need to "switch off" from work or study. Cheers, Big Ears. 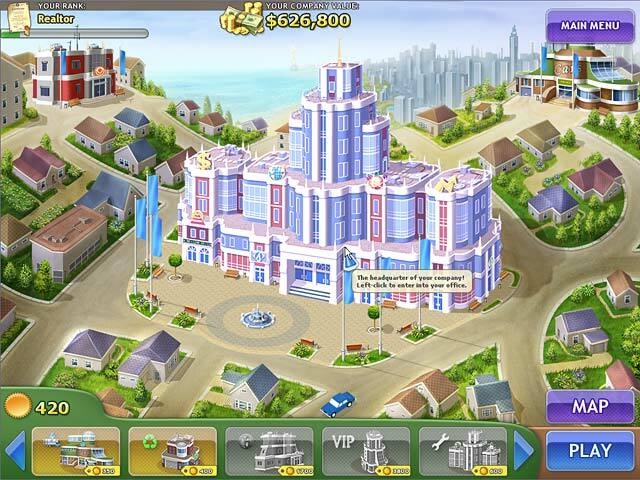 Rated 5 out of 5 by Fruitmania from Be Richer Be Richer is one of the best building strategy and time management games that I have played so far. It has different techniques and I enjoyed constucting residential or commercial buildings depending on what the requirement needs. I will definete purchase the first release Be Rich after complete Be Richer. Rated 5 out of 5 by MermaidWishes from Fun, Fun, Fun to Be Rich! I really LOVE this game. Some levels are easy...but others are quite challenging, and take several tries to beat the clock. The scenery changes and it's so much fun to build each scenario...there is a theme to it. It is definitely fun and worth buying! Rated 5 out of 5 by SimbaKomba from Mindless Fun I put off buying this game for a long time, it just didn't look any good. But I eventually tried it, and I'm glad I did! It's fun! Is it demanding? No, but that's the plus. I used it as a break from university study, it didn't require huge amounts of concentration, but it allowed my mind to rest and have fun at the same time. If you like building/strategy games, at least give it a try, like me you may just surprise yourself!